1. Scrum is one of the agile methodologies designed to guide teams in the iterative and incremental delivery of a product. Often referred to as “an agile project management framework”. 2. Traditional project management methods fix requirements in an effort to control time and cost; Scrum on the other hand, fixes time and cost in an effort to control requirements. This is done using time boxes, collaborative ceremonies, a prioritized product backlog, and frequent feedback cycles. 3. The involvement of the business throughout the project is critical as Scrum relies heavily on the collaboration between the team and the customer or customer representative to create the right product in a lean fashion. 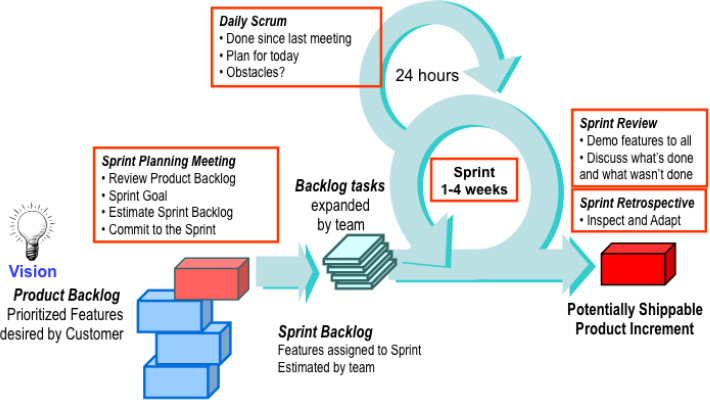 The main activity in Scrum project management is the Sprint, a time boxed iteration that usually lasts between 1-4 weeks, with the most common sprint length being 2 weeks. At the start of each sprint a planning meeting is held to discuss the work that is to be done. The product owner and the team meet to discuss the highest-priority items on the product backlog. Team members figure out how many items they can commit to and then create a sprint backlog, which is a list of the tasks to complete during the sprint. Each day during the sprint team members share what they worked on the prior day, will work on today, and identify any impediments. Daily scrums serve to synchronize the work of team members as they discuss the work of the sprint. These meetings are time boxed to no more than 15 minutes. At the end of a sprint the team demonstrates the functionality added during the sprint. The goal of this meeting is to get feedback from the product owner and any users or other stakeholders who have been invited to the review. At the end of each sprint the team participates in a retrospective meeting to reflect on the sprint that is ending and identify opportunities to improve in the new sprint. 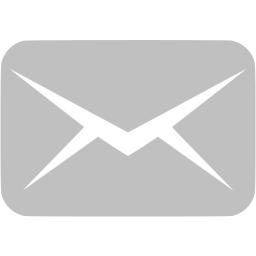 This is a complete list of the functionality that remains to be added to the product. The product backlog is prioritized by the product owner so that the team always works on the most valuable features first. This is a prioritized list of tasks the team needs to complete during the sprint. 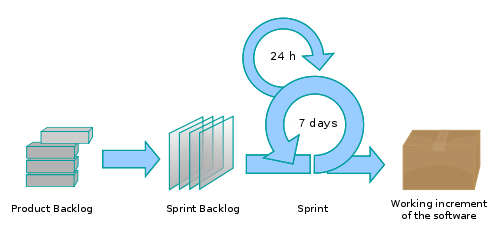 These are used to show the amount of work remaining in a sprint and provide an effective way to determine at a glance whether a sprint is on schedule to have all planned work finished. The Product Owner serves as the customer proxy and is responsible for representing the interests of the stakeholders and ensuring that the product backlog remains prioritized. The ScrumMaster is responsible for implementing the Scrum. A ScrumMaster differs from a traditional project manager in many key ways, including that the ScrumMaster does not provide day-to-day direction to the team and does not assign tasks to individuals. A key part of this role is to remove impediments or issues that might slow the team down or stop activity that moves the project forward. The Team is made up of a cross-functional group of 5-9 members who are responsible for developing the product. Scrum teams are self-organized will all members collectively responsible for getting the work done.